President Bush's Iraqi War Effort Is So Rocked To Its Foundation By British Retreat To Basra Airport, Bush Flew Unannounced Into Anbar Province Over Labor Day Weekend For A 'War Council'. Did He Set An American Withdrawal Plan Into Effect? Title: President Bush's Iraqi War Effort Is So Rocked To Its Foundation By The British Retreat To Basra Airport, Bush Flew Unannounced Into Anbar Province Over Labor Day Weekend For A "War Council" - Did He Set An American Withdrawal Plan Into Effect? Subtitle: The British retreat to the Basra Airport clearly highlighted the "Handwriting On The Wall" for an American defeat. The only matter lacking is a clear plan by which American troops can simply "declare victory and withdraw". All that is now needed is a time of relative peace and a time of "good news", so that an American withdrawal may be carried out. All the key people needed to put this plan into action attended this Baghdad meeting, including the Iraqi P.M. Winds of change seem to be blowing hard! The first step in this saga began when the British decided to call it quits in Iraq and retreat to the Basra Airport. Many, many observers took this sudden retreat of over 5,000 troops to the one enclave Great Britain could protect to be firm evidence that the British Army had lost the war in the southern province where Basra is the key city. Since the British accompanied the Americans into Iraq originally, and were given control over the key Basra province, military analysts understood that the British were protecting the southern flank of the American Army. Were England to fail, American forces would be very hard pressed to win this war. Therefore, the question of the hour is: now that the British Army is quitting Iraq and is literally "holed up" in the Basra airport, can the American withdrawal be far behind? This is the key proposition of this article, i.e., when President Bush realized he could not stop the British withdrawal, he quickly flew into Iraq to map out a firm American retreat/withdrawal. Let us begin at the point of the British Army defeat and work our way forward, to the most surprising developments since the invasion of March 20, 2003. "Iraqi soldiers hoisted the nation's flag over the Basra palace compound Monday after British troops began withdrawing from their last garrison in the city, a move that will hand control to an Iraqi force riddled with Shi'ite militiamen." Let us stop here to emphasis a point too easily overlooked. Notice that the last phrase of this sentence does NOT read that this move handed control over to the Iraqi insurgents; rather, it says that the British retreat handed control off to "an Iraqi force riddled with Shi'ite militiamen". This difference is a huge! Had the Iraqi insurgents openly taken control, the British would have been humiliated. However, if insurgents took control stealthily, invisibly, through Iraqi forces which they indirectly control, then the British would be able to declare "victory" and then retreat. Sometime after the last British soldier has left, the invisible insurgent control can then become open. This latter point is very important to the American withdrawal plan, a point we shall shortly demonstrate. Historians now know that Secretary of State Henry Kissinger negotiated an agreement with the North Vietnamese that they would wait a "reasonable amount of time" before they launched the attack which toppled the South Vietnamese government. In compliance, North Vietnam waited nearly two years, thus giving American authorities two years of "bragging rights", i.e., two years in which to constantly brag about how successful the American handover of security to the South Vietnamese had been! Since so many people have labeled this retreat as a "defeat", the new British Prime Minister went out of his way to deny this clear reality. The Prime Minister will have difficulty selling this concept to a majority of British citizens now; but, when the last British troop has left, and the insurgents take open control, he will convince no one that this retreat is anything other than defeat. This next quote surely sounds like the British are being forced to leave under fire. In other words, the British Army could not stop the nearly daily rocket and mortar fire hitting the Basra Palace using military means; rather, the only way in which the Brits could stop these attacks was to placate the Shi'ite militias by retreating from all areas of the Basra province, including the Basra Palace. This sequence of events simply screams 'DEFEAT'! In other words, the British retreat here may have cut off the later American retreat! This next news segment cements this concept. 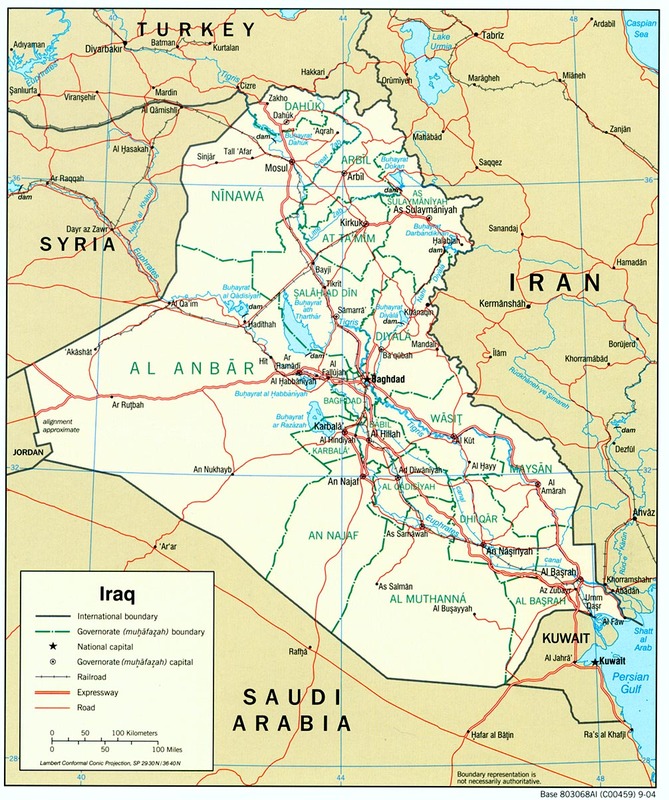 As long as the 5,500 British troops -- backed by armor -- occupy the Basra Airport, these forces can probably protect any American withdrawal along the two parallel roads on each side of the Tigris River to Kuwait. You can see the strategic position of the Basra Airport by clicking on this map link. These British troops could pull out of the Airport area to take up positions required to protect any American force retreating on these two roads. But, Bush must move quickly to begin his retreat, for if the British troops withdraw before the Americans retreat, then the U.S. routes of retreat are cut off. Did President Bush Just Plan The American Withdrawal? Now that we have established the reality of the British Army retreat, let us continue to the next step. President Bush begged the new British Prime Minister Brown for several weeks to not carry out his planned withdrawal until the Americans were ready to leave. Now that his pleas have obviously fallen on deaf ears, as evidenced by these actual retreats, President Bush had better act quickly to either militarily roll back the consequences of the British retreat, or to hastily plan his own retreat. Since American forces lack the military strength to counter the damage caused by the British retreat, the President needs to quickly plan a retreat for American forces. In this light, we find President Bush's unannounced visit to an American air base in the Iraqi Anbar Province very interesting, to say the least. Notice that the very people who would need to participate in an American withdrawal plan attended this meeting! "US President George W Bush has met senior US and Iraqi officials at a US air base in Anbar province in Iraq. The talks at al-Asad air base were attended by the US secretary of state, defence secretary, the US ambassador to Iraq and the head of US forces there. They were joined by Iraq's PM Nouri Maliki and other senior Iraqis." As if to tip his hand, the President hinted at future withdrawals, but said such retreat would be based only on his terms. "Mr Bush is facing pressure at home for a US withdrawal, but he insisted any pull out will only result from a 'calm assessment' by leaders on the ground. 'Those decisions will be based on a calm assessment by our military commanders on the conditions on the ground, not a nervous reaction by Washington politicians to poll results in the media', said Mr Bush, addressing troops at the base on the US Labor Day holiday. 'In other words when we begin to draw down troops from Iraq it will be from a position of strength and success, not from a position of fear and failure ... 'America does not abandon its friends. America will not abandon the Iraqi people'." These are "fightin' words", to be sure. However, the situation on the ground is precarious and getting more so by the day. This next news segment reveals the curious "coincidence" between the British retreat to the Basra Airport and President Bush's sudden trip. "The BBC's Matt Frei in Washington says the comment could have been a reference to UK forces who on the same day that Mr Bush was visiting Anbar withdrew their last troops from inside the southern city of Basra. A total of 5,550 UK troops are now located at the airport outside Basra and their Basra Palace base is under Iraqi control." Thus, President Bush was meeting with these key people in the Anbar Province airport "on the same day" that the British were completing their retreat into the Basra Airport! That is one coincidence which seems to not be accidental! What are the terms by which the President would agree to the withdrawal of American forces? This last statement is key, because President Bush and General David Petraeus must point to some American success if they plan to simply declare victory and withdraw. President Bush planned this sudden visit in one of the provinces in which American troops are now declaring a success. If violence levels between Shi'ite and Sunni groups will now significantly decline, President Bush can declare his victory. It does not matter if Shi'ite and Sunni resume their killing of each other once the American troops have gone, as long as they pause long enough right now to allow the White House propagandist to paint the required picture of decreasing levels of violence and of an increasing capacity of the local Iraqi police and para-military units to maintain acceptable levels of security. Is there any news which indicates that a plan is afoot to at least temporarily cause Shi'ite and Sunni to stop murdering each other? Yes, there certainly is! Right on cue, and operating within the same time framework as are the British and the Americans, Shi'ites and Sunnis are suddenly "talking peace". "Representatives from Sunni and Shia groups in Iraq agreed on a road map to peace based on the experience in Northern Ireland after four days of secret talks in Finland, reconciliation group the Crisis Management Initiative said last night. The meeting brought together 16 delegates from the feuding groups to study lessons learned from successful peacemaking efforts in South Africa and Northern Ireland. The factions were convened by the John W McCormack graduate school of policy studies at the University of Massachusetts in Boston ... the participants "agreed to consult further" on a list of 12 recommendations to begin reconciliation talks including resolving political disputes through non-violence and democracy." "The recommendations included disarming feuding factions and forming an independent commission to supervise this 'in a verifiable manner'. Mr Donaldson said: 'Agreement has been reached on the way forward between the parties, and they are now going back to Iraq with these proposals'. Among the groups reportedly at the talks were representatives of the radical Shia cleric Moqtada al-Sadr; the leader of the largest Sunni Arab political group, Adnan al-Dulaimi; and Humam Hammoudi, the Shia chairman of the Iraqi parliament's foreign affairs committee." I am certain that the progress toward these goals will be uneven and will be punctuated with attacks which seemingly would wreck any agreement. I further expect that some groups will attack this plan of "reconciliation", in order to give the plan a heightened degree of credibility. 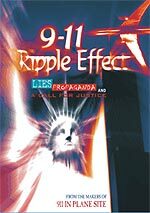 But, I would also suspect that the overall situation will slide downward in the numbers and the severity of the attacks, thus allowing the White House and American military commanders to announce that levels of violence and civil war are decreasing, and because of this decrease, American can proceed to drawdown her forces. This scenario is a very interesting one and we must watch it carefully. It does seem that a case is quickly being made which will allow American forces to declare victory, turn over security to local Iraqi forces (even if they are riddled with insurgents) and then begin withdrawal. If civil war erupts between Shi'ite, Sunni, and Kurdish groups after the Americans leave, the White House can blame the local Iraqi leadership, exactly as we blamed the South Vietnamese leadership so many years ago. 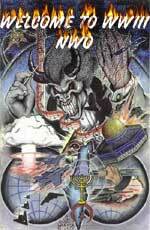 Truly, the world is heading rapidly toward the end of this plan to produce the Masonic Christ on the world scene.